Register multiple people to attend the conference at the member rate. 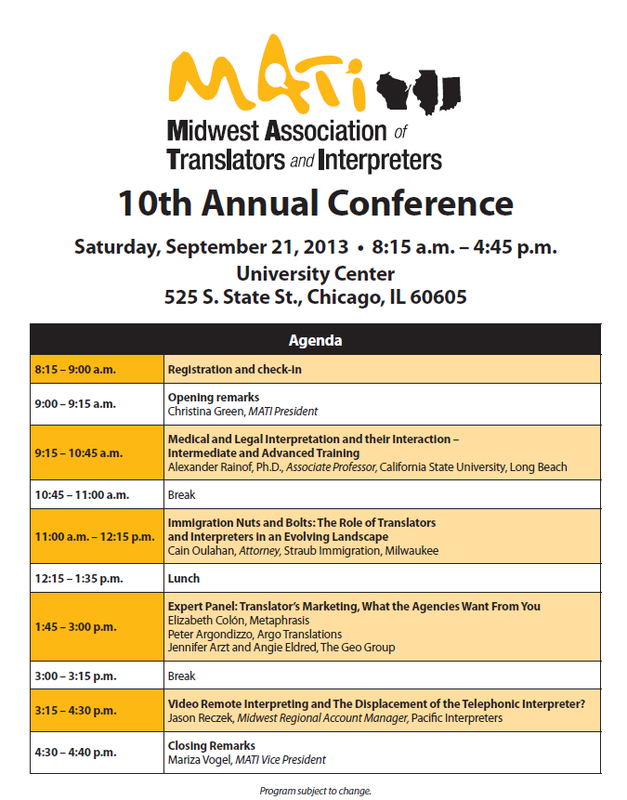 MATI's 10th Annual Conference will be held on Saturday, Sept. 21, 2013, from 9 am to 5 pm at the University Center in Chicago. Our keynote speaker is Prof. Alexander Rainof, from California State University-Long Beach. His presentation is entitled "Medical and Legal Interpreters and their Interaction: Intermediate and Advanced Training." Check out our Carpool Forum to find a ride (or offer one!) to the MATI conference. See the Members Only section.